Happy New Year from all of us at Vicon. 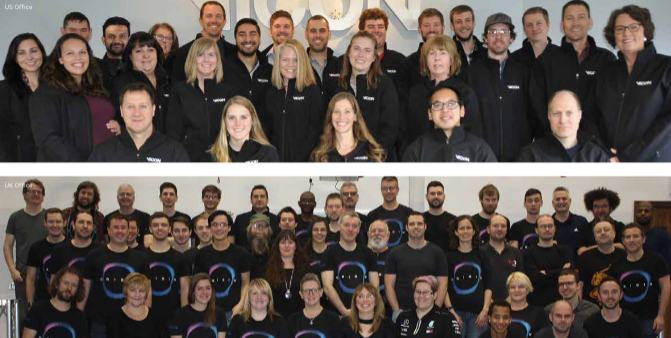 We are excited to share updates from the last quarter and look ahead to 2019. 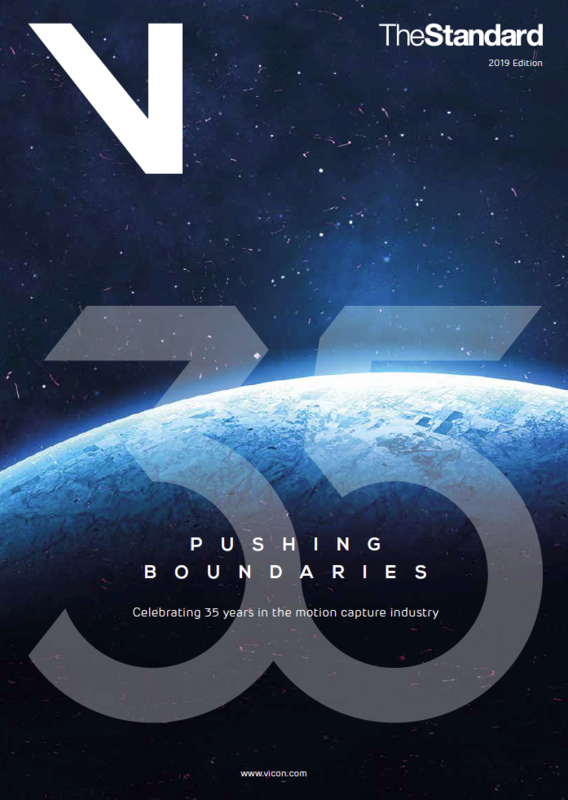 Vicon has recently published the 35th anniversary edition of our internal magazine, The Standard, begun planning for an expansive 2019 exhibition schedule, released multiple software updates and patches and added seven new team members to the family. Read on to learn more. Subscribe to future newsletters here. The 35th Anniversary edition of The Standard is now available on our website. This edition includes 14 articles ranging from internal op-eds to customer stories focused on all markets from customers like the Japan Atomic Energy Agency and Human Media Lab to VR Arcade, Durham University and V1 Interactive. Find it here. Nexus 2.8.1 is now available for download. Tutorials can be found on the Vicon YouTube channel. We also have updates available for Polygon 4.4.2, ProEclipse and Tracker 3.7. Email [email protected] for assistance. Introducing Faceware Shepherd for Vicon users, a new software product that gives motion capture operators using both Faceware and Vicon Blade or Shogun the ability to control recording and playback of multiple facial video recording devices simultaneously. Shepherd instantly simplifies any body and face motion capture shoot by eliminating the need to manually track take numbers, file names, and recording times. Shepherd also provides valuable tools for producers, like the ability to easily transfer clips from facial recording devices, as well as export a detailed list of recorded clips for review and editorial. Motion capture operators can streamline production with Shepherd's "Mocap Trigger" feature which enables Shepherd to start and stop facial recording when Blade or Shogun starts and stops recording. See your #ViconPowered application featured in the next edition of The Standard. 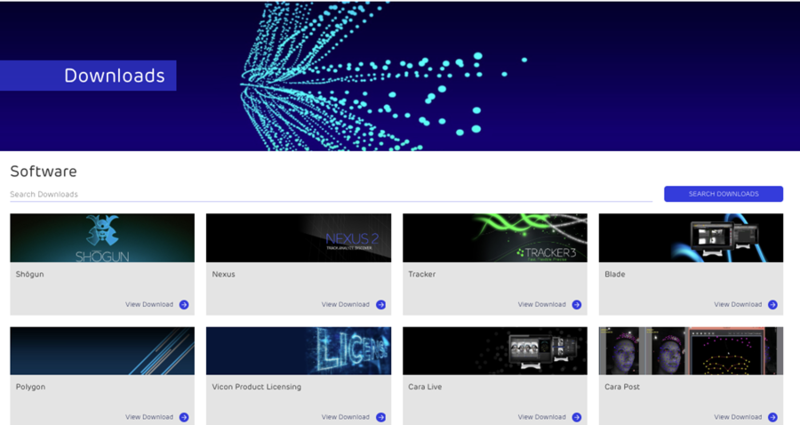 We are compiling customer stories and other content for the 2020 Vicon Standard now. Send your details to our marketing team to find out more. Did you know that all of our case studies, blog posts, and press releases are published on the Vicon web site? Find them here. Vicon will be attending and exhibiting at events across the globe in 2019. Check out our schedule and be sure to stop by the booth if you are attending. Our UK office is hiring for multiple positions. View open jobs and apply here. The Vicon family continues to grow and expand. In the last quarter we have welcomed seven team members, including our first ever Chief Technology Officer in IMeasureU founder Mark Finch. Mark Finch - Chief Technology Officer (Oxford) - This is a totally new position responsible for directing the company's technology vision and roadmap, driving the development of both hardware and software. Mark will be bringing his expertise as an engineer and inventor to the role, considering how best to employ your feedback in our development cycle. Email [email protected] with your mocap related news, or reach out to [email protected] / [email protected] with technical questions or for more information on any of our products. Subscribe to future newsletters here.